Evie Boyd is now in her fifties as she reflects back on her time as a 14 year old living in late ‘60s Northern California. As with most 14 year old girls, Evie is young, impressionable and longing to find her place in the world. She comes across a group of young women in the park and their carefree ways captivate her. Soon she manages to befriend one of these young women, Suzanne. Suzanne takes her under her wing. Evie is swept into Suzanne’s world when they visit the ranch where the girls are living. She is introduced to their leader, Russell Hadrick. Russell is an enigmatic man who has this fantastic following and seems to be on the edge of fame. He and his “family” seem to have the world in the palm of their hands and Evie can’t resist the pull. This book has gotten rave reviews. Perhaps I am alone in not finding it all that captivating. None of the characters in this book were likeable including the main character, Evie. It’s so obvious that this is a fictional representation of a young girl being taken into a Charles Manson-like cult. Knowing the outcome of that horrendous true-crime story makes it hard for me to understand how anyone could be lured to it. I read Helter Skelter when I was very young and I was appalled by it. I didn’t get how those young women could be drawn to such a monster and I still don’t get it even after reading this book. Someone of a younger generation who cannot recall those events so easily might find this book much more riveting than I did. 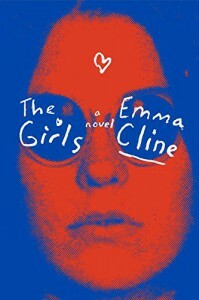 Like Gone Girl, this book just made me want to take a shower. Each generation has their version of living on the edge and doing things that seem taboo. The 60s were a great turning point in the freedoms that society experiences to this day. It was a turbulent time of change for young people. Emma Cline takes us into the head of one young girl during that time. Evie became easily misdirected and her poor decisions will forever haunt her. To me, there is one very important point here. When we are young our expectations of the world are high. Society leads us to believe that things should be a certain way. We begin to realize during adolescence that maybe for some of us those things aren’t that easy to come by. Is the world going to be disappointed by us? Are we going to be disappointed by it? The heart can be a lonely confusing place and we all long to belong somewhere. As we grow away from some we’ve been close to and towards new people, we each have an inner journey going on that no one else is privy to. Cline did indeed give us a vivid picture of the strife that can come with this journey. I want to thank the publisher (Random House Publishing Group – Random House) for providing me with the ARC through NetGalley for an honest review.